With the #MeToo movement, Gov. Andrew Cuomo and Mayor Bill de Blasio have come out swinging in a proactive attack to combat sexual harassment throughout New York. 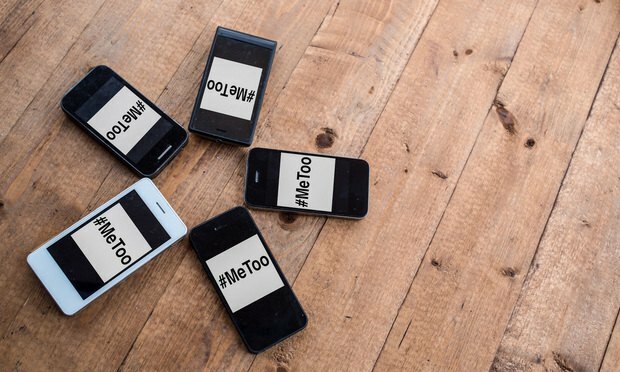 Employers should be aware that the new state sexual harassment laws are applicable to employers of all sizes, even to companies with just one employee. With the #MeToo movement, Gov. Andrew Cuomo and Mayor Bill de Blasio have come out swinging in a proactive attack to combat sexual harassment throughout New York. Employers should be aware that the new state sexual harassment laws are applicable to employers of all sizes, even to companies with just one employee. NY State Human Rights Law, N.Y. Exec. Law §292. If you are a company in New York without a sexual harassment policy or a policy that has not been updated in response to the recent legislation, your company may not be in compliance with New York’s state and city anti-harassment laws. No later than Sept. 6, 2018, companies in New York City were required to display a poster in the workplace concerning a company’s anti-sexual harassment rights and responsibilities to workers and to distribute a fact sheet detailing sexual harassment as created by the NYC Human Rights Commission. The New York City “Stop Sexual Harassment Act Factsheet” can be found on the NYC Human Rights Commission’s website. The fact sheet, which is mandatory in each New York City office, defines sexual harassment, provides examples of sexual harassment, prohibits retaliation, provides a telephone number to report harassment to the NYC Commission, and provides information on where to file a complaint. Companies in violation of this posting requirement may be subject to up to $250,0000 in fines for a willful violation as well as other damages. In his Tax Tips column, Sidney Kess writes: The rules relating to IRAs and Roth IRAs are continually changing due to cost-of-living adjustments, court decisions, and IRS guidance. Here are some new considerations for 2018 and beyond.